Want to look dressed, but be tropical and casual? Try one of Joan Richardson's wraps from Shoal Bay beach. 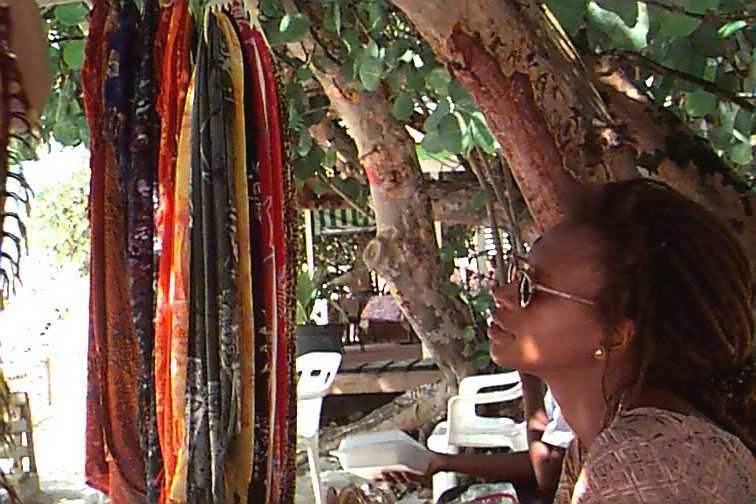 In the afternoons, Joan can usually be found under a sea grape tree, with her colorful beach sarongs and wraps hung around her, making a perfect, cool "cave" for her office. There are many ways to wear a beach wrap. Just ask Joan to show you how! Prices range from US$ 10 to 30. She accepts VISA, Mastercard and Amex too. Telephone: 1-264-497-3413.